According to a deed dated November 18, 1873, a piece of land was sold by Henry McDonald, signed by Isaac McDonald, Isaac Baker, Thomas McKoy, and Robert Kelly, to Beaver Creek Chapel. These men were Trustees of the African Methodist Episcopal Zion Church of America. 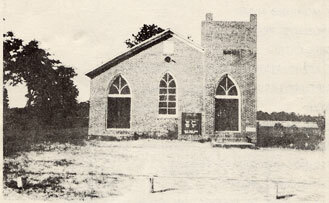 It is believed that this was the time Beaver Creek Chapel first became a part of the A. M. E. Zion Church, which was established in 1796 in New York. With this tract of land, the first substantial building was constructed and steps of progress were seen. In 1887, under the leadership of Rev. M. N. Levy, an antique church bell was purchased. The church community at that time was called Beaver Creek. This bell is a part of our courtyard today. In October 1923, under the administration of Rev. E. Johnson McKoy, the church building was remodeled with a new top, enlarged alter, new doors, and windows. Beaver Creek became a stational church in 1930, after serving a number of years on a circuit with New Bethel A. M. E. Zion Church. In 1937, under Rev. J. Z. Siler, a building fund drive was launched and a brick church was built. The instability of the structure prompted a new fund drive under the leadership of Rev. J. S. Maynor in the 1950’s and continued under Rev. E. H. Beebe. The first wing of the Education Building was constructed on cinder blocks. The second wing was built under the administration of Rev. DeWitt Womack, during the period 1964-1973. During the period 1973-1985 under the leadership of Rev. Cajus B. Howell, a new sanctuary was built in conjunction with the wing of the Educational Building, which was also remodeled with brick. The church’s name was changed from Beaver Creek A. M. E. Zion Church to Simon Temple A. M. E. Zion Church on November 9, 1976, in recognition of the Black African, Simon Cyrene, who helped to carry the cross of Jesus up to Calvary when Christ became physically exhausted. From 1985-1987, Rev. George Miller served as Pastor and a church sign was placed in front of the church. Rev. James Sloan was appointed to Simon Temple in 1988. The installation of the cross, vestments for the pulpit, and the acolytes were organized under his leadership. Rev. 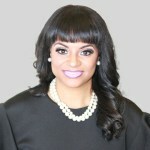 Franklin L. Rush was appointed to Simon Temple in November 1990. In May 1991, the church mortgage was liquidated. When we celebrate our Annual Homecoming, we are following a tradition he initiated in August 1991. The Educational Building was completely renovated, a new dining hall erected, and the parking lot was paved. A piano, organ and house were purchased. Approximately 175 new members joined under Rev. Rush’s leadership. 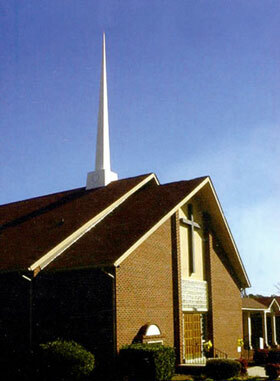 For the first time in the history of the church, Simon Temple hosted the Annual Conference in the fall of 1994. The landscaping was completed, and an additional house was purchased in the fall of 1995. Two church vans were purchased. In 1999 our Children Development Center was officially christened. The Center’s mission is to provide quality childcare while helping children grow intellectually, spiritually, emotionally, and physically. Our “Meal on Wheels” program was organized and remains an outstanding success – five days a week, hot meals are delivered to the homebound. During the fall of 2001, Bishop George E. Battle, Jr., placed the leadership responsibility of Simon Temple in the capable hands of Rev. 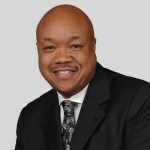 Brian R. Thompson, Sr. He found a firm foundation here, and he continues to build pride and joy while seeking His face, grace, and favor. Over 600 souls have been led to the Lord and more than 1,000 have joined the church under his leadership. Many physical improvements have been made to the facilities including repaving of the parking lot, installation of new air conditioning, security gates, computers, upgraded sound system, and upgrades in the kitchen to include icemaker and hot food serving unit. The purchase of our new bus enables us to travel to accompany our Pastor to his many engagements out of town. Simon Temple now has its own web site. We reach the community through weekly radio broadcasts and through billboard advertising. Our youth are very active with praise dancing, mime and step team. The ladies of the church are also actively participating in praise dance. A compact disc and video recorder have been added to our audio/visual ministry. We have purchased two 4-passenger golf carts to assist the elderly and physically disadvantaged to and from the parking lots to the Sanctuary. Since September 2004 our weekly Good Samaritan Ministry enables Simon Temple to feed and clothe the homeless and those less fortunate. God has blessed us to be able to complete construction of a $677,000 renovation project begun in June 2004 which includes 300 new seats for the congregation, a baptismal pool, enlarged pulpit area, new offices with new or upgraded computer equipment for the pastor, ministerial, secretarial and financial staff, new library, and upgraded area for choirs and musicians. The first baptism in our new pool was conducted on January 3, 2005 with 5 candidates. May we continue enjoying the fruits of our labor, as we try diligently to leave behind a wonderful legacy for our children and future generations.